Spoilers discussion topic for the console-exclusive Someutsushi arc of Higurashi When They Cry. To read Someutsushi in English, you must first purchase a copy of Himatsubushi off Steam or Mangagamer’s website, and apply the relevant Console Arcs 07th Mod. 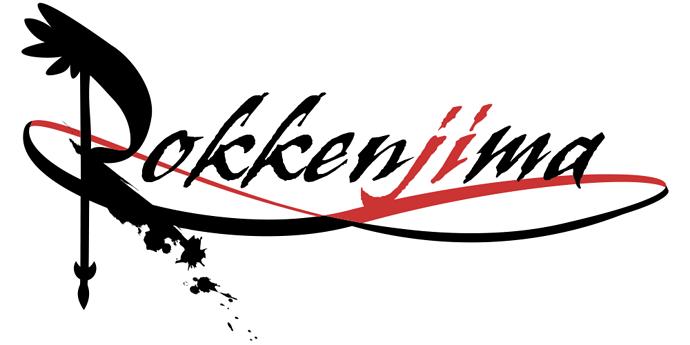 This topic is intended for people who have finished the entirety of Higurashi and wish to discuss this chapter in light of future events. For those who have yet to finish Higurashi in its entirety, please tread carefully, because there will be untagged spoilers! Please tag references to outside works with the [spoiler] tag, with adequate context provided in parenthesis. While this topic will serve as a general hub for discussion of the Chapter, if a conversation ends up flowing in a certain direction (eg. You start talking about the series as a whole rather than this particular Chapter), don’t be afraid to continue it in your own topic! Keep the “reply as linked topic” button beside each post in mind. For those who have yet to finish the series and wish to discuss the story up to this point, please visit our Spoiler-Free discussion topic. In Someutsushi we get to see what happens after GHD, which is something we don’t always get to see. We’ve seen it before (Rena survived in Tsumihoroboshi), but in most worlds we don’t see much after the GHD occurs. But watching Natsumi’s decent into madness kinda made me sad. Since she doesn’t live in Hinamizawa, all of her friends exist outside of the village. Since they live outside of the village, they aren’t directly affected by the GHD. They just get to know Natsumi, and watch her go crazy. They just have to sit by as she murders her family (as well as Toudou), before eventually ending her own life. Kinda like in Onikakushi, I think a lot of the problems in this chapter could be solved if there was more communication and trust amongst the friends. Secrets really aren’t helping anyone, and Natsumi should just be honest with her friends. Instead, she choose to keep her secrets, which ended up furthering her paranoia. Unlike Onikakushi, all of her friends in this world (other than Toudou) are going to live. Since this world exists outside of Hinamizawa (and the GHD already happened), we know that they will live on. Unlike Keiichi’s gang of friends, they won’t all die together. So Chisato and Tamako will have to live on asking themselves, “what could I have done to avoid this tragedy?” I think it’s safe to say that unlike everyone in Hinamizawa, these two girls will live out their entire adult lives unaffected by anything else. One of the saddest things in the world is watching someone else die and know that there’s nothing you can do about it. Those living in Hinamizawa don’t really have to live with this grief (other than Rika and Hanyuu) since they all more or less die at the same time. Yeah it was really interesting dwelling into the lives of people who aren’t related to the disaster, but at the same time really are. Misunderstandings everywhere. It’s really sad how things ended up going. Hearing about Chisato, Tamako, and Akira going to the same college really hurt. Natsumi never knew. She grew distrustful towards her friends thinking she betrayed her by going to the same college where she knew she couldn’t attend. The ending really did remind me a bit of Watanagashi. Akira meeting up with Natsumi after being injured during the fight with her mom and Keiichi meeting up with “Mion” after being warned not to approach her the next time they met. The extra footsteps made me wonder if Hanyuu was definitely apologizing to Natsumi. Hearing Natsumi saying “I’m Sorry, I’m Sorry” before that made me remember how Hanyuu goes over to people apologizing for not being able to do anything. Minai Tomoe… I wonder what her story is with Ooishi? She too wants to know the truth about the Hinamizawa disaster. The story is definitely suggesting that Hanyuu was there apologizing to Natsumi, but that brings up a lot of weird implications. First off, Kakiuchi is pretty far from Hinamizawa. How did Hanyuu get there? She can’t exactly drive or ride a bike, so did she walk miles to another town just to check in on Natsumi? And second, the scene with her happens something like a week after Rika’s death. So that means Hanyuu sticks around for a while before jumping to the next timeline, but who knows how long? Speaking of weird implications, did anyone else find it a bit strange that Natsumi suffered from Hinamizawa Syndrome in the first place? She was born in Okinomiya. I thought in order to have Hinamizawa Syndrome you had to have either traveled to or be a resident of Hinamizawa. Natsumi never mentions going there in her life… Is Okinomiya close enough to Hinamizawa where those born/living in Okinomiya also have Hinamizawa Syndrome? Or is Natsumi just special for some reason? Or was Natsumi actually born in Hinamizawa after all? Or did she just go there for some reason and become infected that way? Her grandmother was born and raised in Hinamizawa… Would that make Hinamizawa Syndrome genetic? Maybe her distant relationship to the Kimiyoshi clan isn’t as distant as she thinks, and that’s why? Well I mean she talked about Rika and Mion so I believe she has interacted with them at some point. It would make sense if Natsumi has visited Hinamizawa in the past, as she is distantly related to the mayor of the village. I could easily see her sitting in on town meetings like Mion and Rika do. But even if she were to visit Hinamizawa for a short time, I don’t think she’d come in contact with Hinamizawa Syndrome. I say this because tourists like Akasaka are able to travel to and from Hinamizawa fine without ever exhibiting any symptoms of Hinamizawa Syndrome. This makes me think that perhaps you must be living in Hinamizawa for some time in order to get Hinamizawa Syndrome, and that it’s not something that you come in contact when you are just visiting the village for a short while. Perhaps Natsumi lived in Hinamizawa during the early portions of her life and doesn’t remember? Or maybe she visited Hinamizawa for a long period of time? Natsumi mentions that the Watanagashi festival is bigger than it used to be, so she must have attended it a couple times. She probably attended almost every year because that would be expected of a member of the Kimiyoshi family, or even if not, her grandmother would probably drag her there. I haven’t read Someutsushi in a while, but wasn’t Natsumi’s grandmother from Hinamizawa? I think she could have caught Hinamizawa Syndrome from her. You know, this would explain her mom going bananas and murdering her grandma/dad. 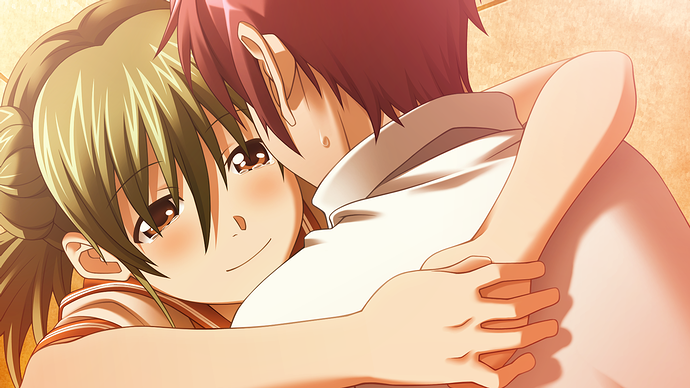 But who knows, that scene could be a part of Natsumi’s paranoia kinda like Keiichi in Onikakushi. Maybe in reality she was the one to kill her family only because she perceived them as a threat, even though they weren’t threatening her whatsoever. But if Hinamizawa Syndrome passes between family members, maybe it was her mom doing the murders after all. But yeah, there’s no doubting that Natsumi has been infected with HS. As for how, the genetic theory is certainly plausible, but I was under the impression reading that she actually spent quite a lot of time in Hinamizawa. She seemed very familiar with the town and it’s people. It’s even possible she lived there for a time. One thing that struck me as odd reading this is that it showed images of Hinamizawa full of gas. I thought there was no gas? Toudou survives when Natsumi kills her family, but in the end Natsumi ends up stabbing him on the rooftop. And I thought the “gas” was a narrative created by “Tokyo” so no one would suspect them in orchestrating GHD. Or at least, I think that is what it said in the Emergency Manual 34 scene in Minagoroshi. Tomoe tried questioning him but decided he was too emotionally fractured to question. Huh… My version of Someutsushi cut off before that. All I have is Natsumi strangles Toudou (my memory is absolute garbage when it came to that scene ) and then credits… I probably installed the patch wrong or something. Who knows, it could be because I’m running all of this on a mac. The script won’t be completely different just because you’re playing on a maaaac! Well, this arc was awesome. It sure was a lot of fun to read something from Higurashi I have not read before, and since it centered on people outside of Hinamizawa directly it was particularly fresh feeling. I want to take a moment to just say that characters in this arc were really well handled. Natsumi, the female detective, and especially Chisato. Seriously, Chisato especially was really a lot of fun, she felt like she probably could have become fast friends the core club members back in Hinamizawa and that the antics would have been all the more fun for it. The core themes of friendship, lies, guilt, forgiveness, trust, and mistrust were all here in full force, making it feel very at home with Higurashi core canon. Natsumi’s insecurities, and her tendency to keep everything bottled up made a really good springboard for the decent into HInamizawa syndrome. So we see the death of her family play out two separate ways. The first round was written off as a dream, the second happened so quickly. The first scenario played out as if her mother was the primary initiator, the second she kind of discovers the bodies after waking up. I was curious so I pulled out my volumes of Onisarashi-hen (oversimplified recap the end of Onisarashi - even though it is not an “outside work” It seems less read so I thought the spoilers should still be opt in ) The events in Onisarashi - the deaths play out basically like they do in the dream, only it is revealed at the end - specifically to Akira that that all of the physical evidence points to Natsumi having committed all of the murders. The thing here is that in that ending Akira chooses to staunchly stand by her side, and thus when they have the confrontation on the roof he accepts her and they both end up surviving and presumably reaching the Happy End (though I feel odd calling an ending where you still killed your whole family Happy) So in manny ways that terrible dream almost feels like it was Natsumi having a glimpse at what may have been her happy ending in a different fragment So in that way the two arcs tied together almost feel like a mini encapsulation of the whole greater Hinamizawa story - sure you have removed the greater conspiracy of the disaster - but as a story that shows the importance trust in your friends, and how unaddressed doubts can eat away at a person the story was on point. I feel dread when things are going wrong. 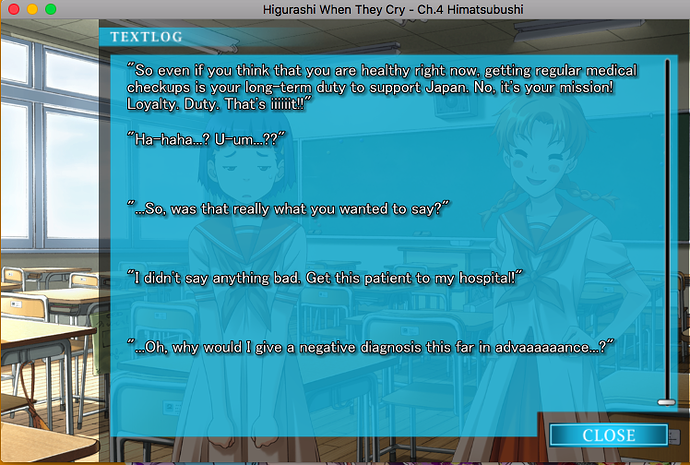 Higurashi experience I missed. There’s nobody behind me right now, right? …It’s midnight. By the way, the voice actors are great. Natsumi’s voice can be too cherry it’s unnatural sometimes, but her screams and awkwardness are perfect, chilling my bones. Especially when she dies… … … My feels. For the characters…I think they’re great, especially Minai. Natsumi’s worries are normal and relatable. But honestly, there are confusing moments with Chisato-Tamako about Natsumi’s feelings towards Akira…or did I miss something? Also, my confusion to timeframe between the time of Natsumi’s date and her dream and reality of tragedy can be on purpose, but the rest…hmm. It might be just me. Time transition is pretty hard to do. Yeah I ended up rereading Onisarashi-hen after finishing hahaha. Some parts were unclear to me as well. But oh maan I feel you on the HIgurashi experience. I missed it so much. Once that murder happened I was all. As much as I love Someutsushi, the one thing that really bugs me about it is Natsumi’s ‘demon voice’. This doesn’t appear in any other chapter and really makes the whole thing feel unnecessarily supernatural and over-the-top. And I mean, it doesn’t make sense either. There’s no way Akira has contracted HS, right?